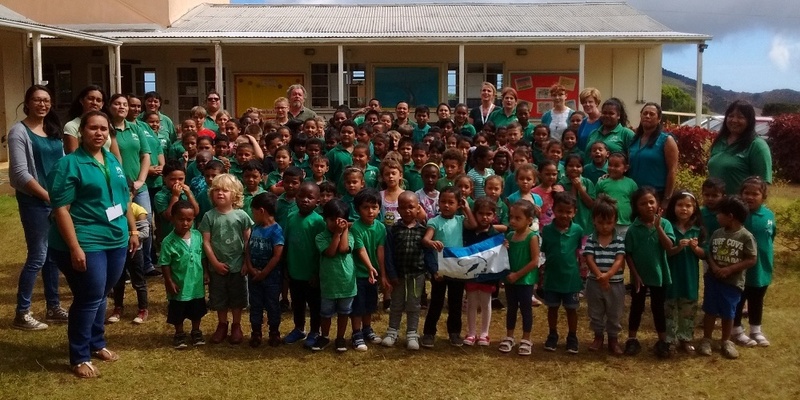 It’s Marine Awareness Week on St Helena island. While this year’s theme is “Invisible Oceans”, this week is also a fantastic opportunity to recognise the vital role our fishermen and fisheries play into the lives of all of us in St Helena. I am proud to say that the importance of our marine sector continues to rise, featuring at the top of many stakeholder’s priority ladders. This is partly a result of our first ever international conference that was hosted on island in January and February, entitled “2018 Diverse Island Environments”, in combination with the growing international attention on our one-by-one tuna fishery. Following the outstanding reception IPNLF received at the conference, via our local media and our social media, I was inspired to take this a step further. 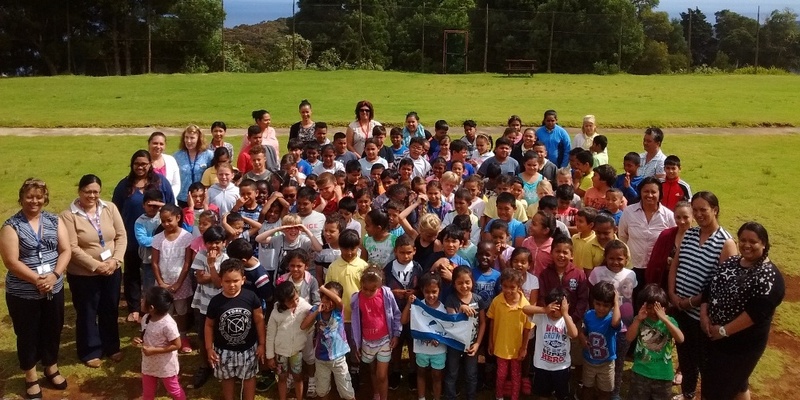 That’s why, over the past few weeks, I visited the island’s schools to teach students about the traditional and sustainable tuna fishery that is on our doorstep. The response was awesome. My journey started at St Pauls Primary School whose logo proudly tells us that “together everyone achieves more” – a sentiment that has proven to be true. Students were enthusiastic, attentive and keen to learn more about our one-by-one fishing methods. The following week was extremely busy as I presented on consecutive days to ensure that Pilling Primary, Harford Primary and our secondary school – Prince Andrew all had the opportunity to learn more about the work of IPNLF and the importance of our fishers and our fishing industry. Pilling Primary’s logo also highlights a key message to all of us when working hard to make a difference in developing our community and ensuring we manage this productively. 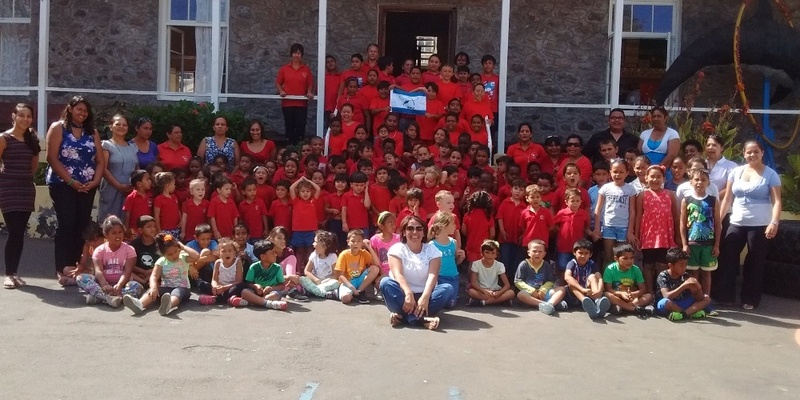 It tells us that “Together as One” is the way to go and I couldn’t agree more, especially when they eagerly responded to the way in which we fish on St Helena. The presentation ended with photos being taken with students and staff proudly supporting the work of IPNLF, raising our flag high, and showing their support in helping us to obtain our vision. The very next day I travelled to Harford Primary School where once again I was greeted with smiles, enthusiasm and incredible questions. I took note of the tagline of the school’s logo which simply lets us know that “Learning Together” is the key to success. 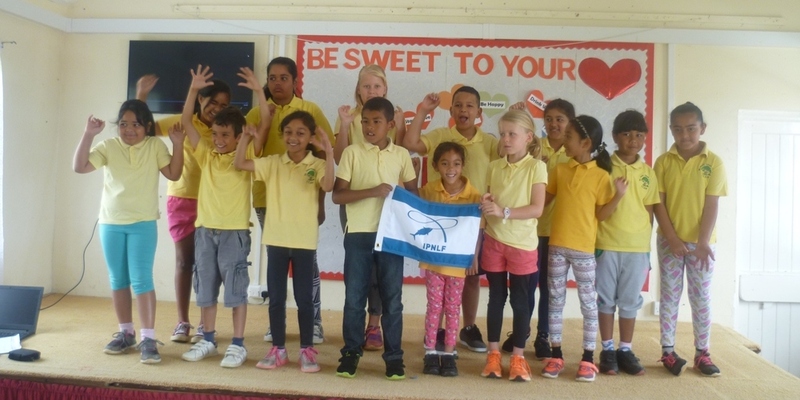 Harford Primary was given the challenge at the end of their special assembly to come up with a promotional jingle/tagline which they felt would help to demonstrate their support for our one-by-one fishery. The last of the special assemblies took place at Prince Andrew School (PAS). 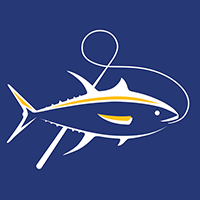 This gave me the opportunity to explain in greater depth the IPNLF project and why St Helena’s fishery is so unique in terms of the size of our Marine Protected Area (MPA) and our long-standing history of one-by-one tuna fishing. The feedback received from students and staff alike has been extremely encouraging and has convinced me that going forward the best way to get support is to engage with the very ones we continually claim we are fighting for – our future, our children. Thanks are extended to all the staff and students from all four schools for making these presentations possible.